Running Press Adult, 9780762447367, 128pp. What started as a silly way for blogger Danielle Henderson and her classmates to keep track of the feminist theorists they were studying in class quickly turned into an overnight sensation. Packed with 100+ photos and captions throughout -- including the best "Hey girl" lines from the blog and 80 percent brand-new material -- this book is a must-have for feminists and fans of the actor alike. What more could a girl want? You know, besides gender equality and all that. Danielle Henderson is the genius behind FeministRyanGosling.tumblr.com and the author of Tales from Fish Camp. As a graduate student and instructor at the University of Wisconsin, her work has been published in several magazines and the anthology Cringe: Teenage Diaries, Journals, Notes, Letters, Poems, and Abandoned Rock Operas. Danielle lives in Madison, Wisconsin. "Ryan Gosling images and feminism quotes collide in this funny, clever blog that nods to women's rights using the actor's infamous 'Hey Girl' meme." "A huge fan of Ryan Gosling myself, Henderson’s playful tumblr makes my heart swoon even more for this past Mickey Mouse Club member whether or not he truly is feminist. But hey, a girl can dream right?" "Feminist Ryan Gosling is a brand new Tumblr that imagines the comely actor as a sensitive, empathetic feminist who’ll still call you his girl, but also knows his Judith Butler from his Chandra Mohanty. Plus, it’s really funny." 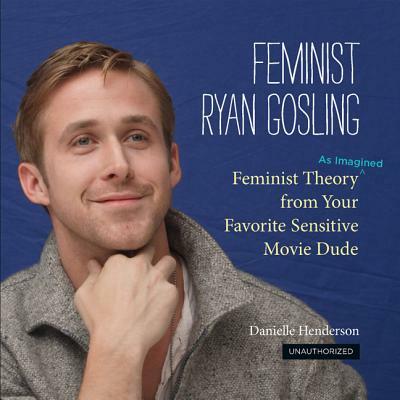 "The Feminist Ryan Gosling meme puts a clever spin on celebrity worship, with fans of the Canadian actor pairing images of his dreamy face with text in which he sweet talks ladies with references to feminist theory." "I wouldn’t question too closely whether or not the words under Ryan Gosling’s pictures are real quotes or not. Let’s just say they are. He’s so sensitive and understanding. *Collective Sigh. *"
"I didn’t think anything could be better than the 'F**k yeah, Ryan Gosling'/'Hey Girl' meme about my boo, but then Feminist Ryan Gosling came along and appealed to my Betty Friedan-loving, bell hooks-reading side."